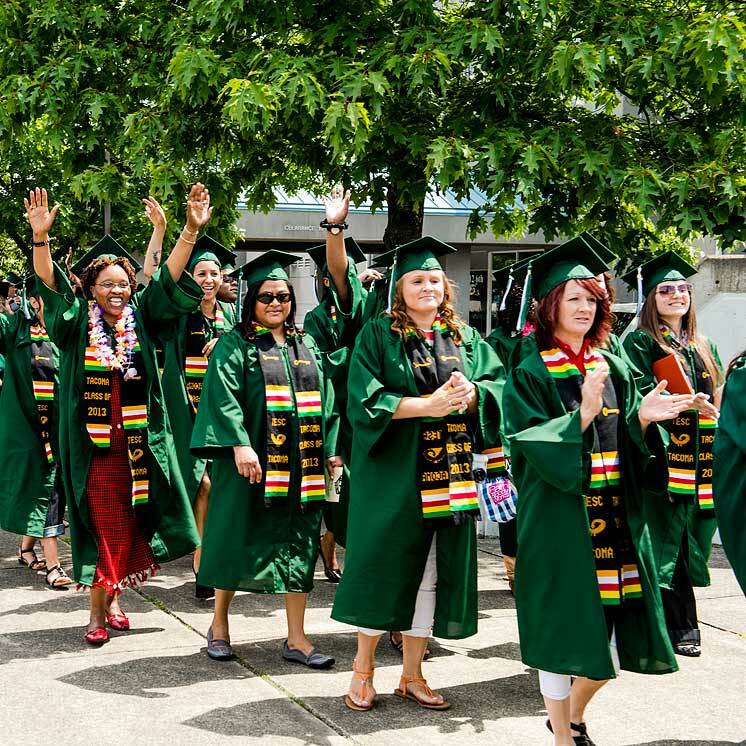 The Evergreen State College Tacoma Program is located at 1210 6th Ave, Tacoma, WA 98405. From I-5, take the South 38th Street Exit, #132, towards Gig Harbor/Bremerton (WA-16). Exit right onto Sprague Avenue. Travel down Sprague to 6th Avenue. Travel down 6th Avenue to the corner of 6th & M Street. Turn right into The Evergreen State College Tacoma Program parking lot. Take Pierce Transit Route 1 (6th Avenue–Pacific) and get off at M Street. We’re also just a couple of blocks away from the 11 and the 102 routes.